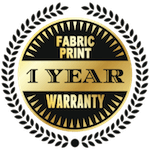 Get Pro pricing on graphic prints with a 1 year Pro-Print Membership. Free shipping. Which print products have membership pricing? All sizes of Vibrant backlit, Brilliant Fabric Popup, and EZ-Zip zippered stretch fabric display replacement graphic prints sizes 10 feet and above, have Pro-Print pricing. Some sizes less than 10 feet have Pro-Print pricing. After I have Pro-Print membership, how do I get the member pricing? Pro-Print membership is associated with your account and is automatically displayed on the print-only product when you are logged-in to your account. Login (upper right corner of the site) before or during check out. When is Pro-Print pricing valid? 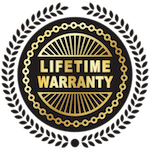 You get the lower membership pricing for any and all orders you place using your account, starting immediately after buying the membership, for 1 year (365 days). Your membership does not automatically renew, and you will not be charged again unless you renew it (for example, though a renewal reminder email that we send to you). If you plan to order prints and a membership today, first order the Pro-Print Membership in one order, and then place your order for prints in another order. Your print order will automatically have the Pro-Print pricing applied. The more you order, the more you save. Membership starts immediately. It can be canceled and refunded within 3 days if not used and no order with Pro-Print pricing or membership benefits has been placed. After 3 days, or after an order is placed with Pro-Print pricing or with membership benefits, membership is non-refundable. It will expire 1 year after the start of membership. Non-membership pricing and Pro-Print pricing in examples above are current as of 4/1/2019. Pricing and additional benefits subject to change.